Getting kids to pick up toys and belongings doesn't have to be a daily struggle. 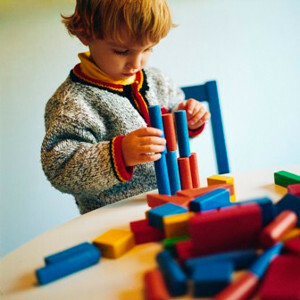 Good role modeling, structure, and a little fun can be used to create a more motivated little cleaner in your home. Follow some of our suggestions below and you might have a little more success in getting your kids to pick up! Most importantly, be a good role model for your children. Pick up your own clothes and belongings on a daily basis. When we leave our belongings all over the house, we give our kids permission to do the same! Set up a consistent time every day when each family member picks up her belongings. For instance, every day at 7pm is "pick up time". If every family member participates, it's more fun and enjoyable and feels more like a group effort. Use a chore chart to structure time during the week when your kids need to pick up. You can set up a reward system for chores done in a timely manner. Check out our free printable chore charts. With younger kids, make picking up toys a game. See who can pick up the most toys in a minute. Or, if the toys are small enough, play basketball while tossing them into a box. Play a counting game, and tell your child to pick up 6 things while you pick up six things. Make cleaning a treasure hunt. Designate a special bag as the "treasure bag". When your child comes across a special toy that he hasn't seen for a while, it goes into the treasure bag. See how many treasures you can find. This is a great way to clean all those tricky places like under beds or in closets! Set up an easy and appealing storage system. Store toys and belongings in easy to reach places and use bright colored storage containers and toy boxes. You don't have to spend lots of money on this either. Take old cardboard boxes and spend a day painting and decorating them for storage units. Kids will love this project and enjoy keeping their belongings safe and sound in a container they created. Be specific in your expectations. For example, don't merely instruct your child to "clean your room". Younger kids can be especially intimidated by this type of instruction. Break down your expectations into specifics. For example, start out by having your child pick up all the balls and put them in the ball container or put the cars in the car basket. This way, your child won't become too overwhelmed. Maintain the expectation that your child needs to clean up one game completely before getting out another. For example, pick up the markers before getting out the board game. If your child doesn't pick up her toys in a timely manner, put them in a special box labeled with a day of the week. When a parent has to pick up the toys and put them in this special box, the child won't get the toys back until that day of the week. For example, if it's Saturday and the box is labeled the "Thursday Box", any toy that goes into the box stays there until Thursday. Follow through with this or it won't work. If you give the toys back sooner, this method won't be effective. Last but not least, praise, praise, praise....catch your kids being good and praise them for picking up their things.